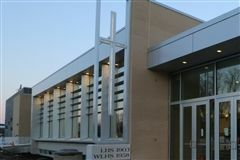 WLHS is a distinctively WELS Lutheran high school (more than 60 percent of the students are WELS Lutheran), but does seek and welcome all young men and women who desire a comprehensive, Christ-centered secondary education. WLHS is a family of students, teachers, and staff working and learning together in a safe, caring, and Christian environment. Eighy-five percent of WLHS graduates enroll in a post-secondary institution, many receiving scholarships and academic recognition. We offer accelerated courses in English, science, psychology, and mathematics to give students an advantage after they’ve graduated. WLHS has a proud athletic reputation and history, and many titles and trophies to show for it. Over 60 percent of WLHS students are involved in co-curricular activities, a great opportunity to meet new friends and to provide valuable experience for future life roles. Over $700,00 in tuition assistance and scholarships is bestowed annually to make our school affordable to everyone. Seventy-five percent of the student body receives some form of tuition assistance. List of 25 news stories. To the parents of our incoming freshmen Class of 2023, be on the look out for your first issue of the WLHS Weekly E-news! The Weekly E-News is delivered to your E-mail address every Wednesday during the school year. 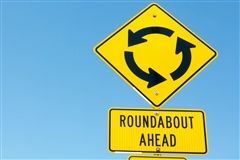 Please keep us informed of any E-mail address changes, as this is the communication tool used to convey information and upcoming events at Wisconsin Lutheran. WLHS encourages feedback to help us make our communication with you more effective, please contact Central Office at 414-453-4567 with any comments or questions. 4th and 6th Grade It's Time to Make a Splash! 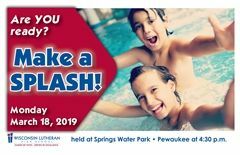 Wisconsin Lutheran High School invites both 4th and 6th grade students to a fun evening of waterslides and swimming at Springs Waterpark Hotel in Pewaukee, on Monday, March 18. The pool is open from 4:30-8:00 p.m. with a parent welcome at 5:45 p.m. There is no cost, however at least one parent must attend with their child. RSVP by going to www.wlhs.org/splash. 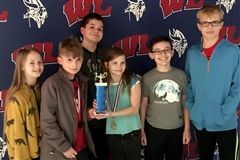 From April 15-18, students in 4th grade at our WELS grade schools will have the opportunity to spend a morning at Wisconsin Lutheran High School from 9:00-11:00 a.m., have a “hair raising” experience in Science class, learn to speak Mandarin, compose a song, and work out with Mr. Whiteside. 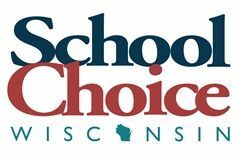 Check with your grade schools to see if you will be attending this year. We look forward to spending a morning with you! 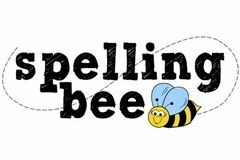 Congratulations to this year's Grade School Spelling Bee place finishers from Grades 1-4, and thank you to all students who competed! If you intend to apply for the WPCP, please click here to apply prior to April 20. Required proof of income and/or residency needs to be submitted in person by April 20. Please contact our school office to schedule an appointment with one of our admissions personnel. Mondays, Wednesday, Fridays - 7:30 a.m.-12:00 p.m.
Tuesdays, Thursdays - 11:00 a.m.-6:00 p.m. If you intend to apply for the WPCP, please click here to apply prior to April 20. Required proof of income and/or residency needs to be submitted in person by April 20 during our open enrollment hours (see above) or by appointment if after February 20. 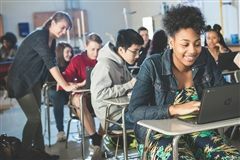 Wisconsin Lutheran High School partners with Smart Tuition and Smart Aid to process tuition requests. Click here to apply for tuition assistance. Smart Aid instructions can be downloaded here. The deadline to apply is February 28. 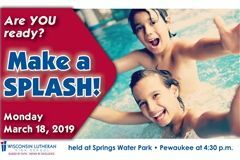 On Monday, March 18, Mr. Ricke and Mr. Wetzel welcome all 4th and 6th graders and at least one parent/guardian (mandatory) to attend their FREE annual “Make A Splash” event at Springs Water Park (formerly Country Spring Water Park) in Pewaukee. A formal parent presentation will take place from 6:00-7:00 p.m., and students are welcome to use the water park from 4:30-8:00 p.m. Click here to register by March 11! 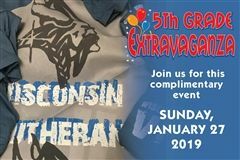 On Sunday, January 27, WLHS will welcome hundreds of 5th graders and their families to the 5th Grade Extravaganza. The evening will include food, fun, and entertainment. Students and parents have a chance to learn about our caring, Christian environment, superior academics, award-winning co-curriculars, generous tuition assistance, and the amazing opportunities that WLHS offers. The students will tour the building in the form of a scavenger hunt. Please RSVP by Friday, January 18 for this exciting event by clicking here. 8th Grade – Tuition Assistance and Scholarship Opportunities NOW OPEN! 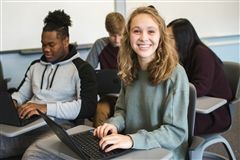 Admissions for the 2019-20 school year is still underway. You can apply for admissions by clicking here. Scholarships – the application window is January 1-31. WLHS is committed to working with families to help make WLHS affordable! Together, we can find a way. Please contact Director of Admissions Brad Wetzel at brad.wetzel@wlhs.org, to learn more. 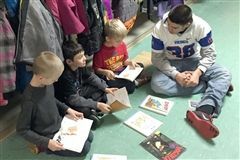 During the month of January and the first week of February, the WLHS “Reading Buddies” will be out visiting many of our Lutheran elementary schools who have signed up to have these high school football and volleyball players come and read with and to their primary grade students. This has become an annual tradition that is highly enjoyable for all students involved — both elementary and high school aged. Keep an eye out for these student-athletes at your school! 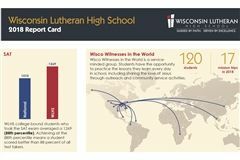 At Wisconsin Lutheran High School, our mission extends far beyond academics. We strive to empower students with the knowledge, skills, Christian character and moral courage necessary for success in school and life as unique children of God. We use a variety of tools to understand student achievement and look closely at our results. In keeping with our focus on results and our commitment to transparency, we are pleased to share the 2018 WLHS Report Card. 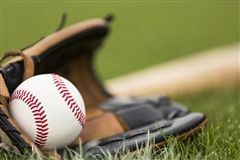 The 2019 WLHS boys' baseball camp is set to take place in Wisconsin Lutheran High School’s Main Gym on Sunday, January 27, February 3, and February 10. There will be two sessions each day (grades 2-4) from 12:00 noon–1:00 p.m. and (grades 5-8) from 1:30–3:00 p.m. The camp will focus on proper throwing mechanics, defensive skills, and developing the hitter’s swing. Click here for more information and click here to register. Camp fee is $40. Registrations are due by January 13, 2019. On Sunday, January 27, WLHS will welcome hundreds of 5th graders and their families to the 5th Grade Extravaganza. The evening will include food, fun, and entertainment. 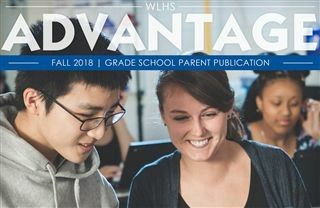 Students and parents have a chance to learn about our caring, Christian environment, superior academics, award-winning co-curriculars, generous tuition assistance, and the amazing opportunities that WLHS offers. The students will tour the building in the form of an scavenger hunt. To register for this exciting event, click here. 8th Grade – Tuition Assistance and Scholarship Opportunities Begin January 1, 2019! Do you know that WLHS is committed to working with families to help make WLHS affordable? Together, we can find a way! Please contact Director of Admissions, Brad Wetzel at brad.wetzel@wlhs.org, to learn more. 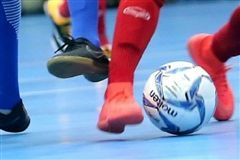 The Wisconsin Lutheran High School soccer coaches are offering informational futsal sessions. On Sundays, December 9, January 6 and 13, head coach Craig Radue and his staff will be demonstrating futsal. Comprised of five players (four active and one keeper/goalie) on each team, this indoor soccer is played on a gym floor with set up net goals. The objective of the game focuses on quick passing and reaction. Contact craig.radue@wlhs.org for information. Mr. Wetzel and Mr. Ricke are currently conducting their visits to each K-8th grade classroom in all 30 WLHS Lutheran elementary schools. These classroom visits include a quick 5-minute, interactive talk about the blessings of our PK-12 partnership as well as a special WLHS gift for each student and classroom teacher. Look for Mr. Wetzel and Mr. Ricke in the hallways and classrooms of your school between November 26–December 15! 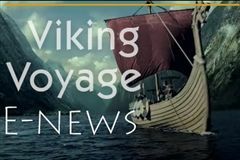 Who Can We Add to the Viking Voyage E-news? Would you like to add a new or additional e-mail address to receive the monthly WLHS Viking Voyage? If so, click here to register the address. Each year the 7th grade classrooms of our Lutheran elementary schools are invited to come and tour WLHS to give these students more of an inside look at the day-to-day happenings at their high school. Students will participate in our daily worship service and then tour the building with opportunities to observe various classrooms and talk to a number of teachers. Please check with your child’s teacher to make sure they are attending. The admissions process began on October 1. If you haven’t started the process yet, please do so now! You can apply for admissions now by clicking here. 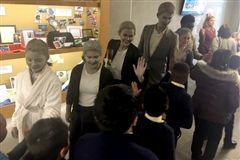 This past weekend, WLHS drama department put on the play "The Giver," an adapted theater production of Lois Lowry's Newbery Award-winning book. The Thursday before opening night, WLHS provides a special opportunity for our LES grade school students to view a dress rehearsal production of the play during the day. Over 620 grade students attended one of two performances offered that day. Participating schools included: Atonement, Christ – St. Peter, Christ, Big Bend, Garden Homes, Good Shepherd’s, Risen Savior, Saint Lucas, St. Jacobi, St. John’s, Mukwonago, St. John’s, Wauwatosa, St. Paul’s, Franklin, Star of Bethlehem, and Zion, Hartland. 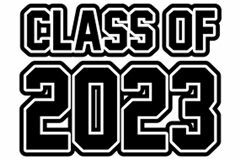 If your grade school did not attend, make sure to remind your principal or classroom teacher for next year! Welcome to the new WLHS Viking Voyage! This platform for communication is intended to keep the Lutheran elementary school (LES) families of the Wisconsin Lutheran High School (WLHS) Conference up-to-date with specific announcements pertaining to activities, events, deadlines, and opportunities taking place at your high school. The WLHS Viking Voyage will set sail the first week of each month during the school year. Mr. Wetzel and Mr. Ricke are getting geared up for their annual visits to each K-8th grade classroom in all 30 WLHS Lutheran elementary schools. These classroom visits include a quick 5-minute, interactive talk about the blessings of our PK-12 Partnership as well as a special WLHS gift for each student and classroom teacher. Look for Mr. Wetzel and Mr. Ricke in the hallways and classrooms of your school between November 26 - December 14! Starting this school year, the WLHS assistant principals established the Viking Christian Leaders Award which acknowledges one boy and one girl from our student body who help us sustain a culture of Christian leadership and the faithful application of God-given gifts in an exemplary way. The traits of a Viking Christian Leader include perseverance, commitment, inspiring, encouraging, knowledge, excellence, generous, team work, and humility. 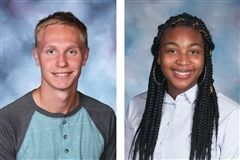 Our student Christian leaders for the month of November are Jared Denk ('19) from St. John's Wauwatosa Grade School, and Chazidy Carson ('21) from Siloah Lutheran Grade School.